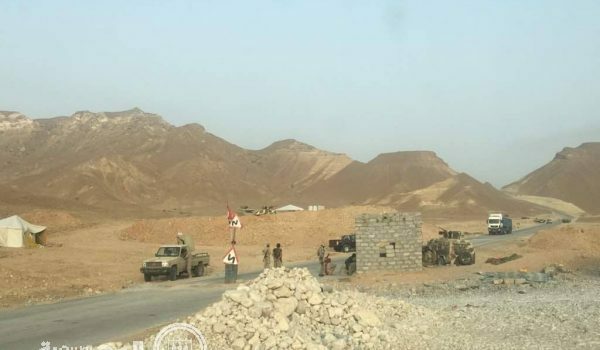 Despite the rejection by the residents of the province, the Saudi forces have been working to establish a camps in Attab district in the province as UAE bribes Yemenis with Emirati citizenshipsince the beginning of the current year 2019. Tribal sources confirmed that gunmen from Shahin tribe burnt Saudi military caravans that had come to establish a Saudi military camp near the Shahin border crossing in Mahrah province, adding, the Saudi aim of establishing new military positions in the district is meant to further harass the commercial movement and the movement of passengers through the shipping port at the border with the Sultanate of Oman. According to the sources, the UAE is currently working on to complete the process of giving Emirati citizenship to all members of the al-Farar tribe and the descendants of the last sultans of Mahrah and Socotra provinces, reaching about 70 Yemeni members in total. The announcement made by the Southern Transitional Council (STC) regarding the opening of recruitments for Saudi forces and paid fighters in the eastern Yemeni province of Mahrah has caused widespread outrage among the southern community. Al-Jazeera reported that it had obtained a report of the Human Rights office in Mahrah province in eastern Yemen on abuses by Saudi forces stationed in the province. The report noted that Saudi Arabia had dropped large quantities of weapons at the Ghadha airport and Nashton port, but deprived residents of their use. It also pointed out that Saudi forces turned the Ghadah airport and Mahrah port into military barracks. Furthermore, it has been revealed that the Saudi developed several military sites and barracks in Mahrah near the residences of citizens, which led to the forced evacuation of its residents. The Saudi forces have claimed Nashton port in order to serve its own interests, and decide single-handedly which goodswill be allowed access to the province and which ones are banned or confiscated. Tribal rallies were staged by residents and sheikhs of Mahrah province to renew their stances rejecting to the Saudi military presence in the province. In another one Hundreds of citizens in Mahrah province staged a portest rally to demand Saudi forces to leave the province, affirming that the Saudi forces brought dozens of armed paid fighters to the province aiming at the spread of security chaos,and adding that the occupation sent the large quantities of weapons at al-Ghaidha airport to turn it into Saudi military barracks. The third one was by tribes and sheikhs of Yemen’s eastern Mahrah province declaring their full rejection to Saudi military presence in the province, and calling on it to leave.